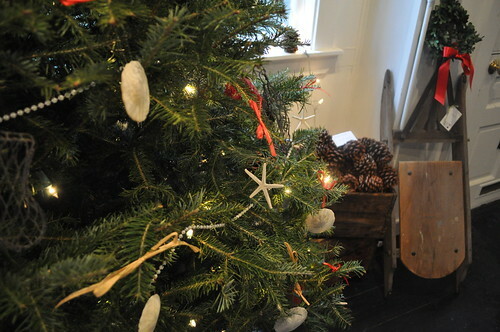 I was totally inspired by these sand dollar ornaments I spotted at Aster in Marblehead. The owner Laura scored a whole basket of of sand dollars this summer at Todds Farm. 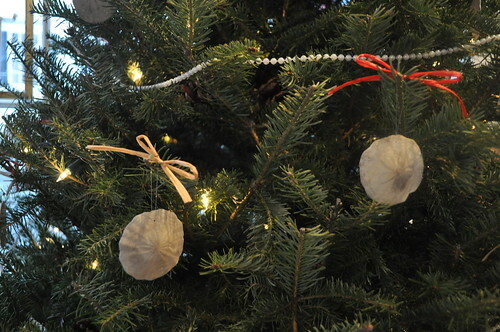 Laura made the ornaments by carefully punching a whole through the sand dollars using a thumbtack. She then strung some fishing line through and tied with raffia or red ribbon. Super cute! I bought a few sand dollars to try myself. 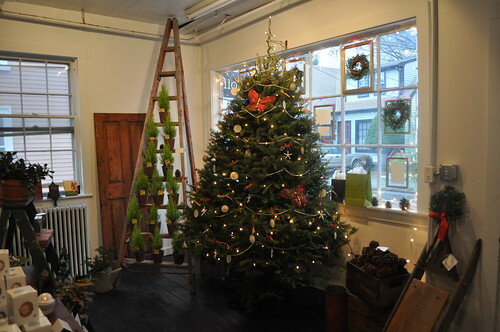 Aster and Tallow are new shops/work spaces that share a location in Marblehead’s old town neighborhood. Aster is a floral design business and Tallow makes custom letterpress. 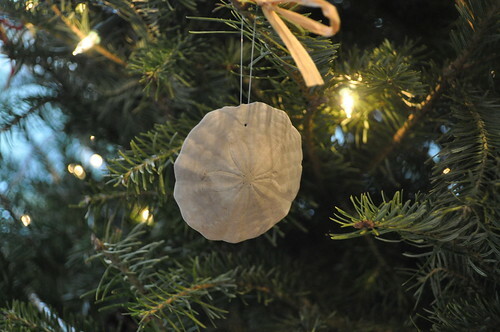 I love the sand dollar ornaments. I have yet to find some that are not broken. I love these! The white against the green of the tree sets them off nicely. Simple & festive.